After some higher profile EDM bookings and last year’s ill-received headliner pick of Twenty One Pilots, fans largely praised this year’s slate — led by Bon Iver, Modest Mouse and the National, as well as headliners including David Byrne — as a return to the beloved fest’s roots. That view never gets old. As the sun beat down on the 17th annual Sasquatch! Music Festival, which took place May 25-27, seemingly every artist — first timers and Sasquatch! vets alike — paused to heap praise on the Gorge Amphitheatre’s stunning environs overlooking the Columbia River gorge. Some things never change, but over the last few years Sasquatch!’s lineup has, as organizers attempt to navigate an increasingly crowded festival market. After some higher profile EDM bookings and last year’s ill-received headliner pick of Twenty One Pilots, fans largely praised this year’s slate — led by Bon Iver, Modest Mouse and the National — as a return to the beloved fest’s roots. Ready-to-rage bros and the occasional stroller-pushing couple (respect the commitment) commingled among the mostly twentysomething indie kids who occupied the amphitheater for the three-day concert. The manageable crowd sizes, which some fans said felt larger than last year, and proximity of the stages helped reduce the festival FOMO, as hopping between stages was as breezy as the winds that cooled off the sun-baked masses Friday and Saturday nights. The price of convenience, however, was sound bleed, which irked avant garde songsmith Benjamin Clementine during his part experimental pop/part performance art set Friday. Similarly, Jai Wolf’s throbbing bass lines from the dance stage clipped the quieter moments of an otherwise illustrious set from post-rock titans Explosions in the Sky, which capped Saturday night. Before Bon Iver’s Justin Vernon closed the main stage Friday, sending his electro-brushed falsetto to the stars, art-rock hero David Byrne delivered an equally powerful moment to end his imaginative set. His current raved-about tour (which hit the Paramount Theatre the night before) finds Byrne and his dancing band without amps or cords on stage, moving freely in choreographed routines. A barefooted Byrne and the sprawling band covered Janelle Monáe’s “Hell You Talmbout,” a percussive protest anthem reciting the names of African-Americans killed by police or racial violence. Byrne updated the piece to include the names of those who have died since the song’s 2015 release, including Seattle’s Charleena Lyles. “Sadly, it’s still as relevant now as it was then,” he said. Byrne wasn’t the only veteran artist whose Sasquatch! performance felt especially relevant in 2018. Playing amid a Saturday night run of indie-rock heavyweights (Grizzly Bear, Spoon, TV On the Radio), Seattle’s Pedro the Lion stood out, sounding massive on the smaller Yeti stage, with songwriter David Bazan culling songs from the recently reunited band’s catalog themed around the “misogyny and toxic masculinity” that’s “killing women,” he warned. We can’t speak for everyone’s ribs, but the late-to-the-party crowd seemed to be sleeping something off Sunday. Any campers still hitting the snooze were likely awakened by booming, high-energy afternoon sets from Tank and the Bangas and freakout brass-and-bass-drum trio Too Many Zooz. By the time most fans rolled in, a Northwest love was in the air during a breakout performance from Japanese Breakfast, the solo project of Eugene native Michelle Zauner. “As a Pacific Northwest girl, it’s an absolute dream to play Sasquatch! 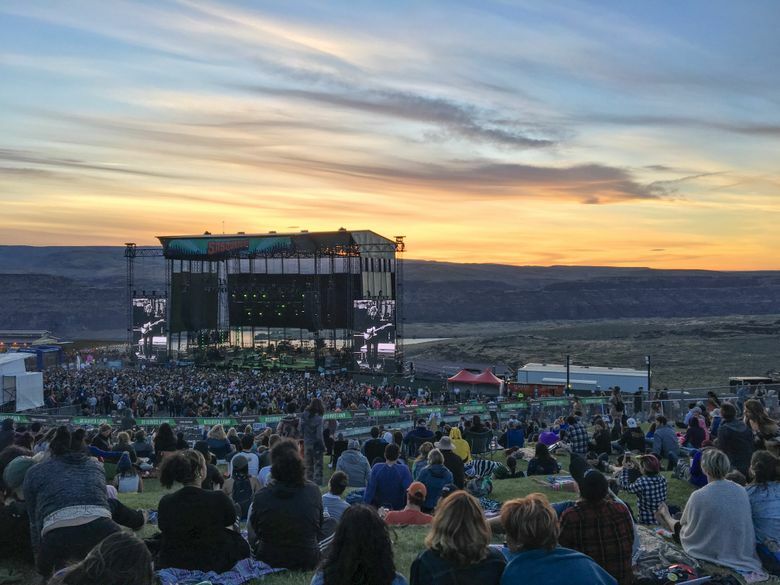 Music Festival at the Gorge,” she confessed, recalling seeing Arcade Fire and the Pixies there in 2005. 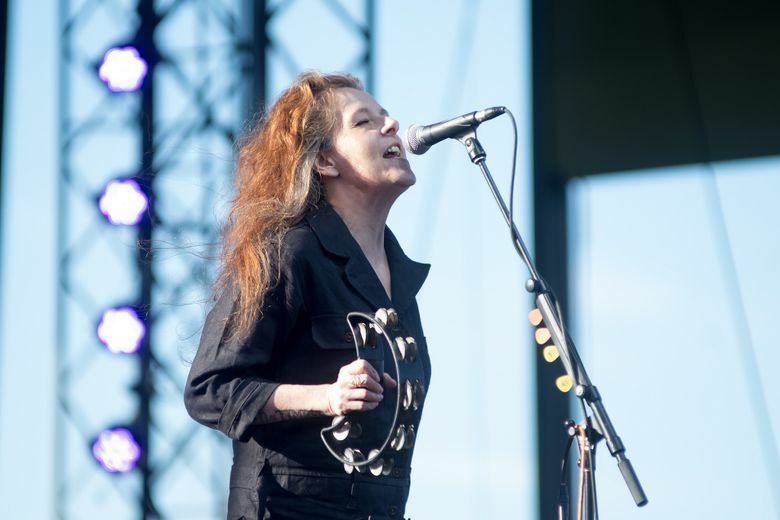 Over on the main stage, Tacoma’s Neko Case — who’s played Sasquatch! more than any other artist — dedicated her new single “Curse of the I-5 Corridor” to her hometown. With the dusty wind blowing in her face as her rich voice seemingly echoed across the canyon, the Northwest indie great’s folk-rock paean’s suited the expansive landscape behind her better than any other main stage act. If this year was the “return” of Sasquatch!, let’s hope it always sounds this good.